When it comes to camp stoves, there’s a tendency to over-complicate matters. Our ancestors were cooking over an open flame for millenia before modern stoves were invented and even those just mimic the ancient ways. For a camp stove, it’s all about concentrating the heat and controlling the flame. Unless you’re above the tree line, there’s no reason not utilize what nature provides. We previously covered how to build a pit fire that funnels air and builds heat, a perfect bush craft stove top. But this is not about digging holes. This is about Outdoor Retailer, the mega-trade show in Salt Lake City that drew 1,600 exhibitors and roughly 30,000 attendees. Having walked the show for three days we came away a bit dazed, but well-reasoned. Still the name of the game is light weight and compact. 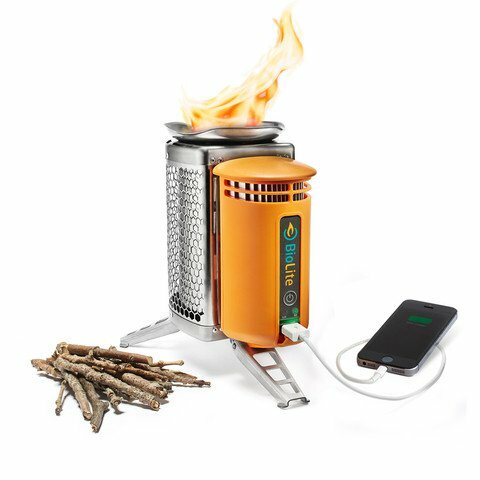 These were the best camping stoves the industry had to offer at the Outdoor Retailer Summer Market trade show. Here are the top five that caught our eye.